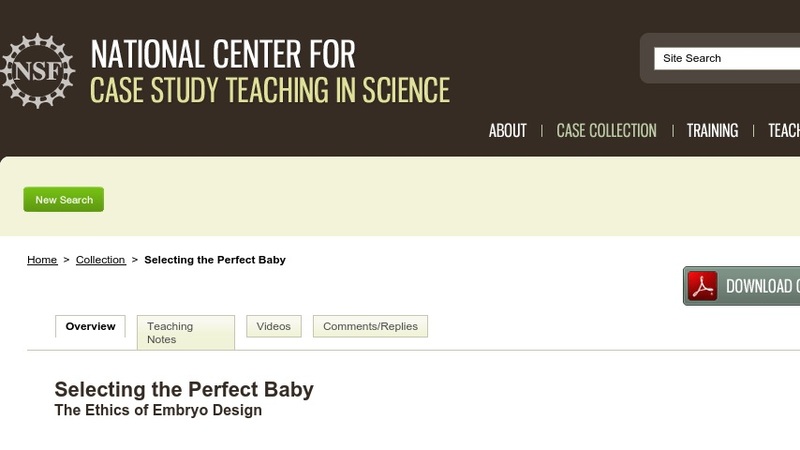 Selecting the Perfect Baby The Ethics of "Embryo Design"
This dilemma case is based on the true story of Jack and Lisa Nash, whose daughter Molly was born with a rare genetic disorder, Fanconi anemia. By having another child with specific genetic markers, the Nashes hoped to cure Molly using stem cells from the new baby’s umbilical cord blood. Students learn about developmental disorders and consider the ethical issues of genetic manipulation and fertility treatments. Although the case was written for beginning developmental psychology students, the issues raised involving genetic manipulation, advances in medical technology, and scientific ethics would be relevant in many other science courses.